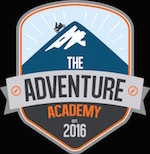 The Adventure Academy prides itself on a reputation of offering quality, relevant and up to date personalised motorcycle courses to clients who wish to make the most out of this wonderful and exhilarating past time. CONTROL is our aim and every aspect of the session is geared toward establishing an absolute mastery of control over your motorcycle. We believe that if a rider is not in total control and is simply pointing their bike down the road when something unexpected occurs, that is when the majority of horrific accidents prevail. The basics are simple, effective and the solid foundation of all advanced motorcycle riders. Unfortunately they are overlooked by virtually all new riders and schools, thereby creating motorcycle ‘passengers’ waiting for it to go wrong, rather than effective riders prepared for any eventuality before it presents itself. Our riding lessons are presented one-on-one ensuring the best possible transfer of knowledge from instructor to student in a short, concise 2 hour session. We offer the following courses for all levels of rider looking to improve their experience on or off-road.